The candles are lit. Dave Matthews Band’s “Crash” album is lightly playing in the background. The stout and chocolate-covered strawberry pairing is ready to go. Yes, beer-influenced love is in the air. Wait? What’s that? Your date doesn’t dig chocolate? No problem. As craft beer continues to star in more and more special occasion dinners, so, too, is it finding its way onto the dessert menu. And not just in stout or porter form, either. You can pair sweet treats with everything from pilsners to Berliner Weisses and scotch ales. 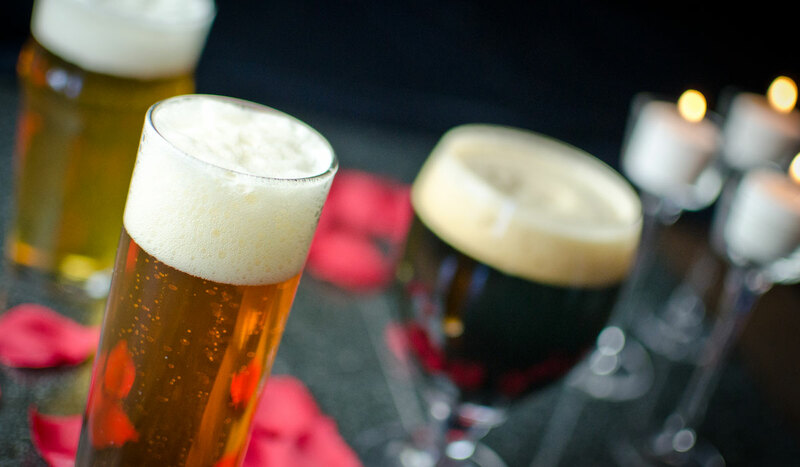 Below are nine beer and dessert pairings to help keep your Valentine’s Day exciting. 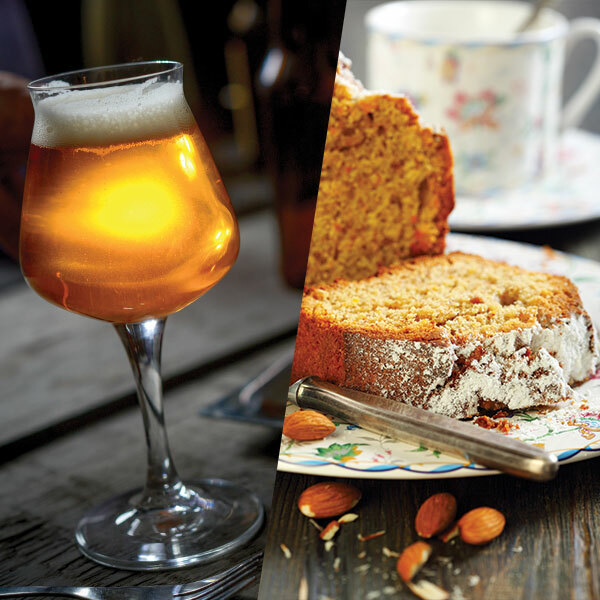 For starters, let’s look at a pairing that is quickly becoming the new imperial stout-and-chocolate of dessert pairings: IPA and carrot cake. The pairing works well because of the way the hop bitterness and sugary sweetness balance each other out. 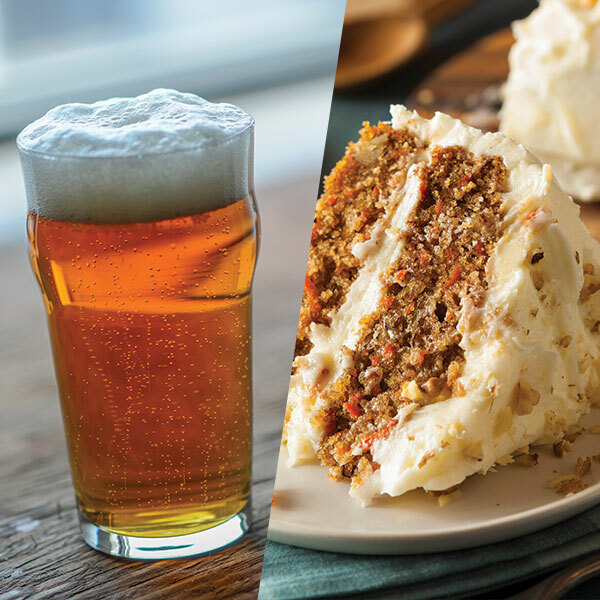 A great example is Surly Brewing’s Furious IPA and a classic carrot cake. Further along the hop intensity line is Good City Brewing’s suggestion of their Reward Double IPA with the house specialty Tunisian Orange Almond Cake. Here, the beer both complements and contrasts the citrus and rich chocolatey layers of the dish. Finishing the orange almond cake is a chocolate imperial stout ganache that washes down nicely with the citrus-forward DIPA. 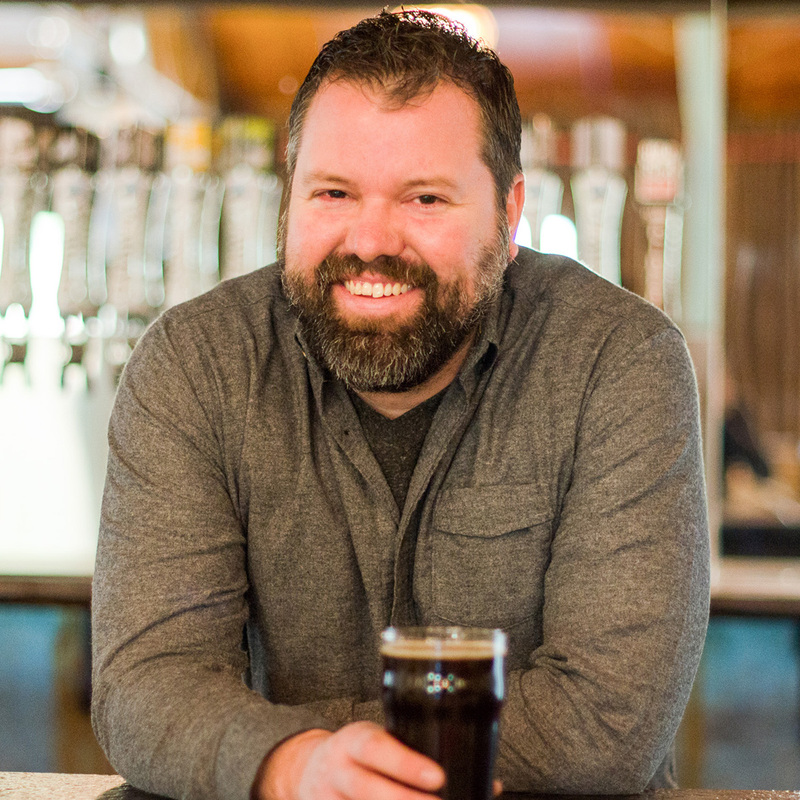 Still fixated on pairing a malt-forward beer with your Valentine’s Day dessert? Try a Scotch ale. The style’s strong caramel malts and hefty body mesh up with rich desserts like bread pudding. Great Divide Brewing suggests pairing their Claymore Scotch Ale with a bourbon bread pudding. Schlafly Beer counters Great Divide’s bread pudding suggestion with their Double Bean Blonde. Schlafly Beer’s Double Bean Blonde is brewed with cocoa nibs and blended with a coffee toddy of beans from Kaldi’s Coffee. The result is a golden ale that is quite deceiving in color as the flavor delivers big coffee and chocolate notes that are very reminiscent of a stout. 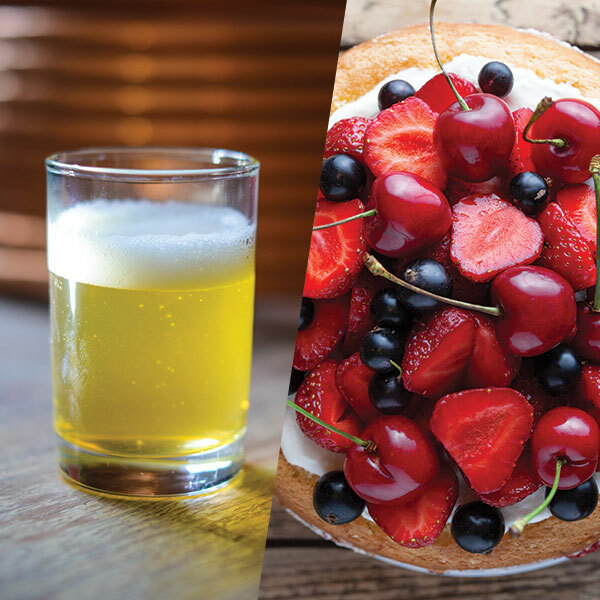 On the lighter side of the dessert pairing chart is a classic Czech Pilsner with a fruit-forward dessert. 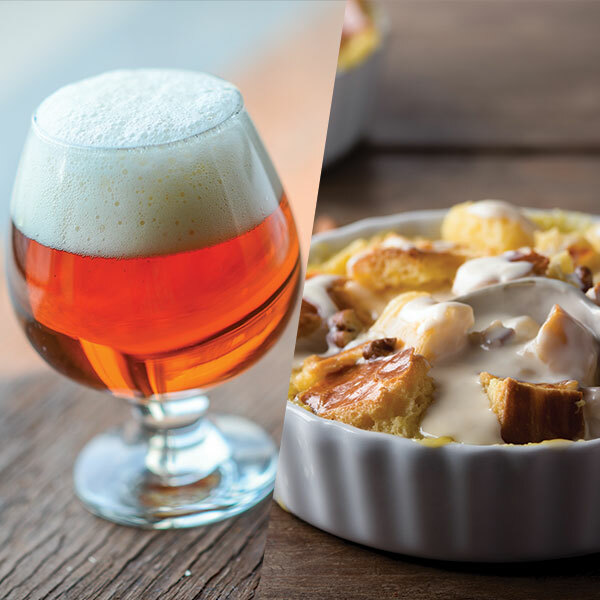 The lighter dessert and beer combination is a pleasant way to end a hearty dinner. 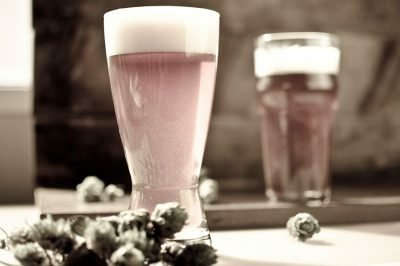 The carbonation and clean flavors of a pilsner also help to cleanse the palate for what’s to come later in the evening. 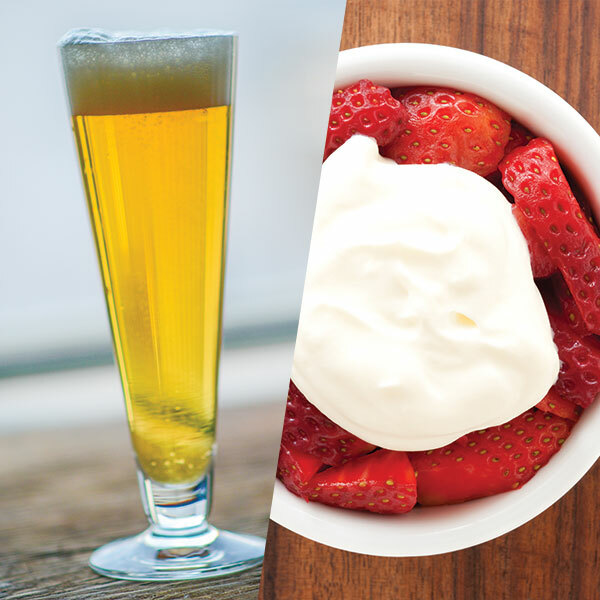 Summit Brewing suggests their Dakota Soul Czech Pilsner with a simple plate of strawberries and cream. 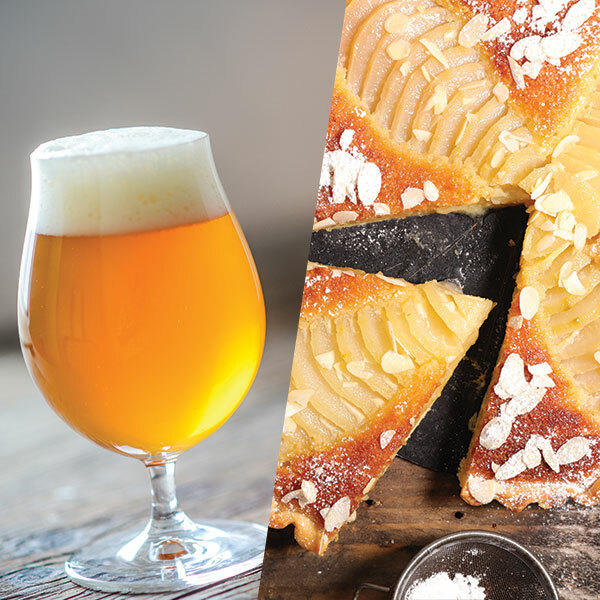 Another less aggressive beer and dessert pairing is a saison with a fruit tart like Big Ditch Brewing’s Beautiful River Saison and a pear tart. 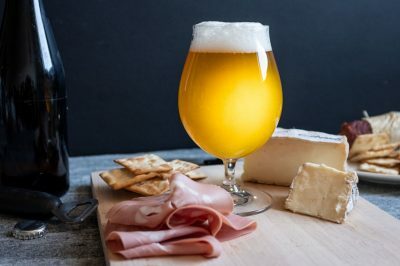 The fruity esters of the yeasty farmhouse ale call out similar flavors in the fruit-forward dessert. Another option with a fruit tart is a mildly sour beer like Berliner Weisse. The refreshing nature of the beer, along with its bright sour notes, make the flavors of a tart dance. West Sixth Brewing suggests their porch pounder Meadoweisse Berliner Weisse to pair with a fruit tart. “The acidic and tart profile of our Berliner Weisse lends a complementing and balancing character to the sweetness of a fruit tart,” says Dale Bugay, one of West Sixth Brewing’s brewers. West Sixth takes their suggestion a bit further and recommends rounding out the pairing with the addition of a traditional fruit syrup to the beer to help make your date a little less sour. 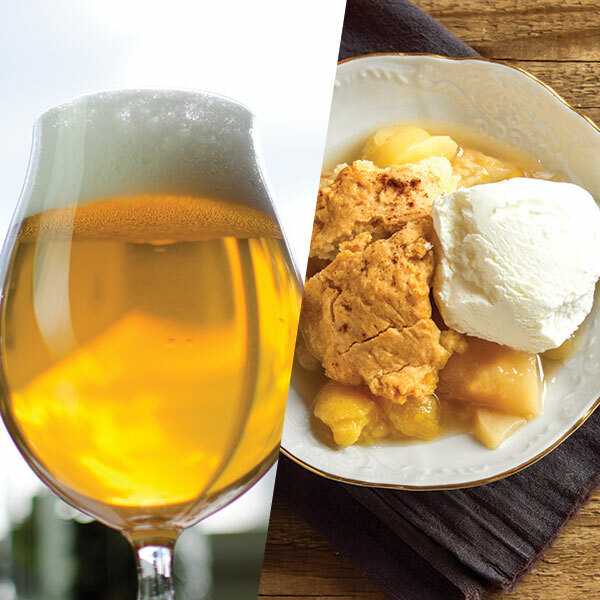 Catawba Brewing suggests pairing a classic southern-influenced peach cobbler with their LD’s Belgian Tripel – part of the brewery’s Specialty Series – for a flavor experience that is both complex and balanced all at once. 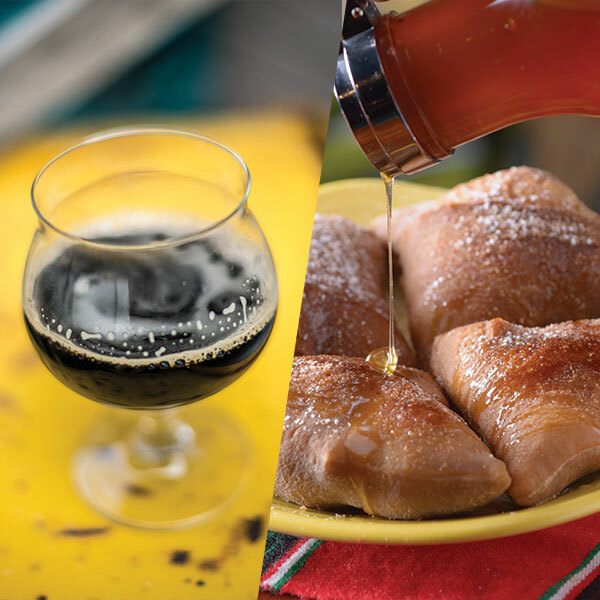 Leave it to Arizona-based Tombstone Brewing to add a little southwestern spice to heat up your night by suggesting their Mexican Chocolate Old Ale with New Mexican-style Sopapillas. Sopapillas are deep fried pillows of dough found throughout Latin America. They’re also quite popular in New Mexico, where the pastry isn’t stuffed with meat, cheese and peppers, but instead topped with honey, cinnamon and whipped cream. Don’t Like Any of the Above Suggestions? 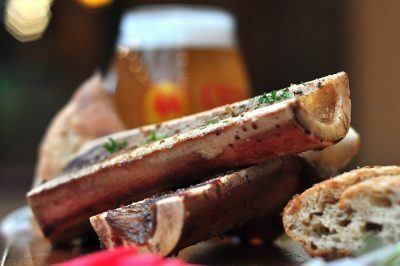 Then be creative and blaze your own dessert and beer pairing trail! Just remember a few easy-to-follow rules to make sure that Dave Matthews Band CD keeps playing through to the good parts. First, consider how sweet the dessert is. 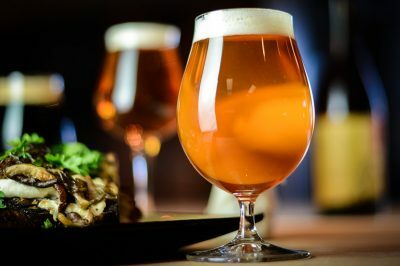 A sugar bomb can overpower your beer or throw other flavors way out of whack much like the way intense hops can with a savory dish. Second, match intensity. Neither the beer nor the dessert should overpower the other. 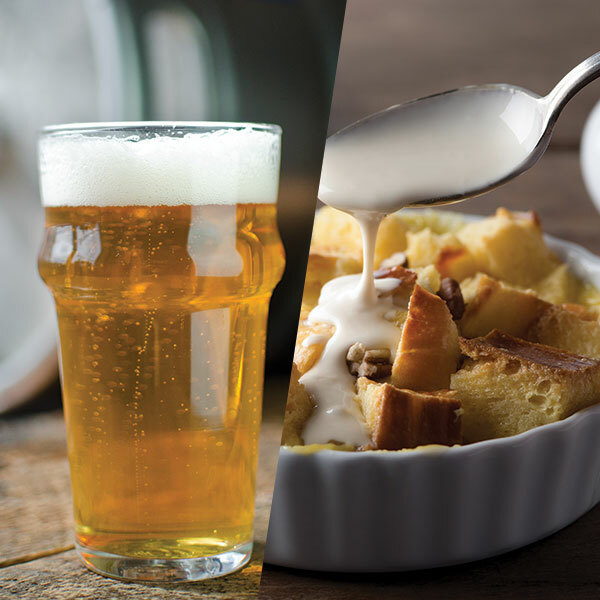 For example, notice how lighter, less intense beers were paired with fruit-forward desserts, and an intensely flavored beer like a scotch ale was paired with bread pudding. Third, think about complementary and contrasting flavors while still considering the rules above. A good example is Good City Brewing’s Reward Double IPA with an orange almond cake. The citrus notes of the beer complement the orange flavors of the cake and balance the contrasting chocolate ganache for a complete dessert experience. Finally, remember it’s beer – so have fun!